Today, the Bureau d’Études, de Recherches, et de Consulting International (BERCI) and the Congo Research Group (CRG) at New York University are publishing a series of nationally representative political opinion polls conducted across the Democratic Republic of the Congo in February 2017, August 2017, November 2017, and January/February 2018. You can download the report here. 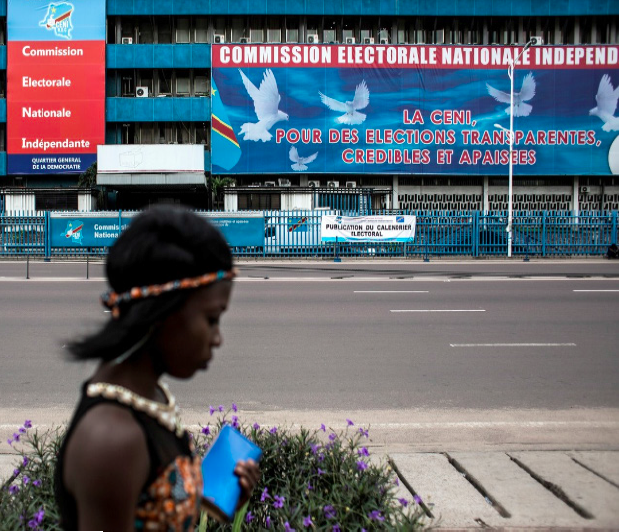 The polls were taken to better understand the attitude of the Congolese public toward the political turmoil that has enveloped the country as it heads toward elections, scheduled for December 23, 2018. The results of the most recent poll show an electorate deeply skeptical of the election commission, which 69 percent do not trust to organize fair elections, and toward President Kabila, of whom 80 percent of respondents have a negative opinion. A full 74 percent support the demand of some civil society and opposition parties that Kabila step down before elections are held. Nonetheless, the Congolese public remains strongly attached to the democratic process, with 95 percent saying they plan on voting. Seventy-seven percent also support the current protests, led by Catholic lay groups that demand the full implementation of the December 31, 2016 agreement signed between the opposition and the government. If elections do take place and provided that they are free and fair, the poll suggests that they will be the opposition’s to lose. Only 17 percent say they would vote for a presidential candidate in the ruling coalition, although the opposition vote would be very fragmented, with the most popular figure, Moise Katumbi, getting 24 percent of the vote. A slight majority of parliamentary seats would be controlled by a broad coalition of opposition parties, although alliances could easily change. Popular opinion remains favorable to outside intervention to help broker a political solution to the current impasse. An overwhelming majority (68 percent) welcomes sanctions imposed by the European Union and the United States against government officials, and 77 percent would approve of an international steering committee to accompany the electoral process. Despite the government’s strong criticism of Belgium, that country’s popularity has risen considerably, with 82% of the respondents saying it is a positive influence in the Congo. The polls consisted of telephone interviews of 1024 persons of 18 years of age and above in February 2017, of 1277 respondents in April 2017, of 1,129 persons in August 2017 and of 1101 respondents in November 2017 in all the 26 provinces of the country. It also contains data from 1118 respondents in January/February 2018 in 25 out of the 26 province of DRC, the exception being Tshuapa province. The interviews took place from February 19 to 28, 2017, from August 6 to 11, 2017, from November 9 to 16, 2017, and from January 30 to February 10, 2018. The margin of error for all the polls was +/-3 percent.